Mama Shelter is one of those “hot” places in town. Your friends have told you about it so many times and you keep reading about how arty the place is, thanks to the famous designer, Philippe Starck, until finally one of your expat friends in town drags you to it. What a pleasant surprise ! Perfect for a girly after-work party ! This hotel/bar/restaurant is located within a 15 minute walk from the closest metro. But it is still well deserved if you’re planning to stay there for the night. The huge separate bar area will strike your attention with its bright LA touch. So will the waiters. Just don’t be in a rush when you go there, they do take their time and like to chat with the customers. 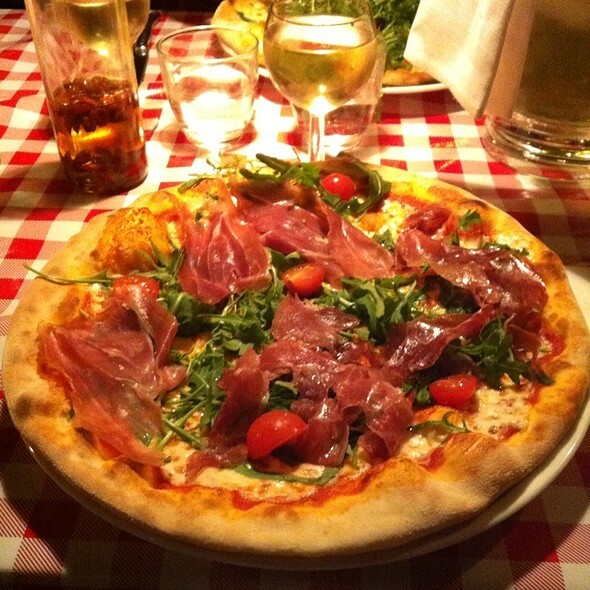 If you plan on having dinner there, it is best to book a table, unless you head to the new Mama Pizzeria. They recently set up an inviting pizzeria that stays open late, if you are not looking to spend too much and still need something filling. The Bellota is worth a try ! It does sound very entertaining and reasonably priced for Paris. I really like the creative and cosy atmosphere. a friend of mine stayed there not long ago & the rooms are really well-priced as well for the hype of the place. (i think they paid around 100/night) The rooms are fun as well – they are all black and have batman masks as lampshades – well at least the one i saw did.